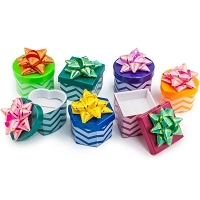 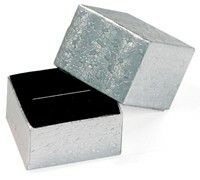 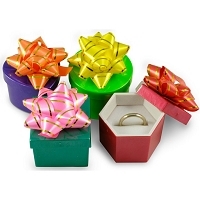 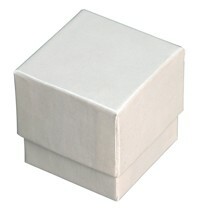 These Ring Boxes are a fun presentation for rings or small stud earrings. 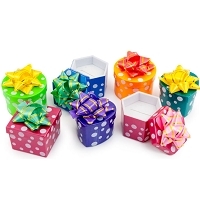 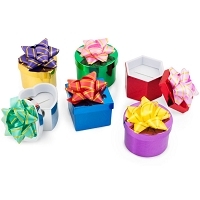 Featuring a mix of festively designed patterns covering the box and lid, plus a nice Ribbon and Bow on top! 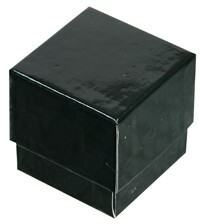 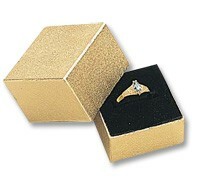 The inside is a soft slotted pad, ideal for holding a Ring.